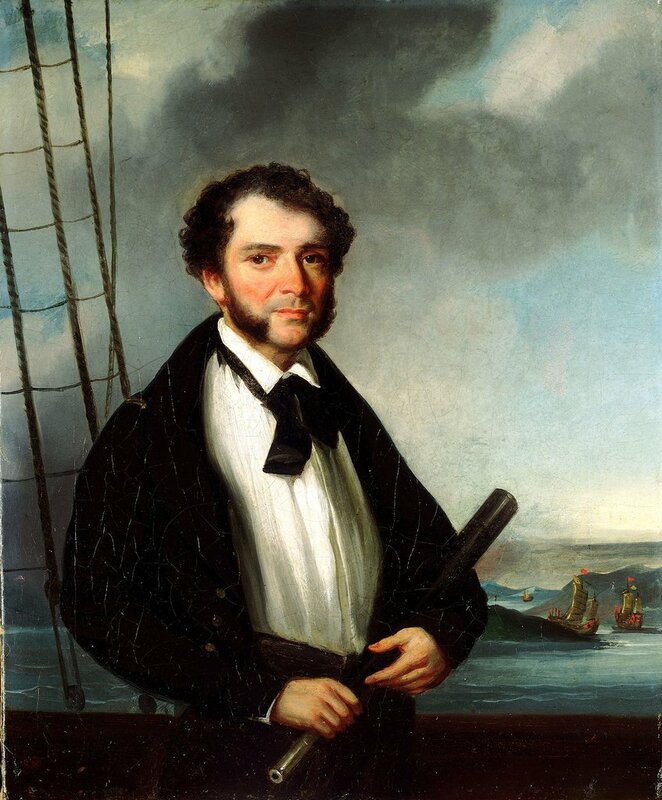 In recent years, a connection was made between two descendants of the two daughters of master mariner Captain James Day (Yorkshire, 1806 – Hobart, 1882) and his wife Rachel Pocock (London ca. 1812 – Hobart, 1857), sister of Zachary Pearce Pocock (1816-1895), physician, surgeon and Customs Officer at Hobart in the 1840s. Captain James Day and Rachel Pocock married at St David’s Church, Hobart on January 6th, 1841, witnessed by James Day’s brother-in-law, master mariner Captain Edward Goldsmith (Chalk, Kent 1804 – Higham, Kent, 1869). Edward Goldsmith had married James Day’s sister Elizabeth Day (Yorkshire, 1802 – London, 1875) at Liverpool (UK) in 1829. Elizabeth Rachel Day, the eldest daughter of Captain James Day and Rachel Day nee Pocock, was born at Rotherhithe, London (UK), on 26th March 1847 and christened at St Mary’s, Rotherhithe (the Mayflower Church) on 28th April 1847. Their second daughter, Mary Sophia Day, was born on 9th March 1853 at Hobart, Tasmania. She was unnamed at birth and registered initially as Sophia Mary Day on April 11th, 1853. Elizabeth Rachel Day married professional photographer Thomas James Nevin on 12th July, 1871 and Mary Sophia Day married harbour pilot, chief officer and leading tower assistant at George Town, Tasmania, Hector Charles James Horatio Axup on 1st May, 1878. Both marriages were conducted at the Wesleyan Chapel, Kangaroo Valley (now Lenah Valley) where Thomas Nevin’s father John Nevin snr of the Royal Scots First Regiment had built a house in the early 1850s next to the Lady Franklin Museum, on land in trust to the Wesleyan Church. 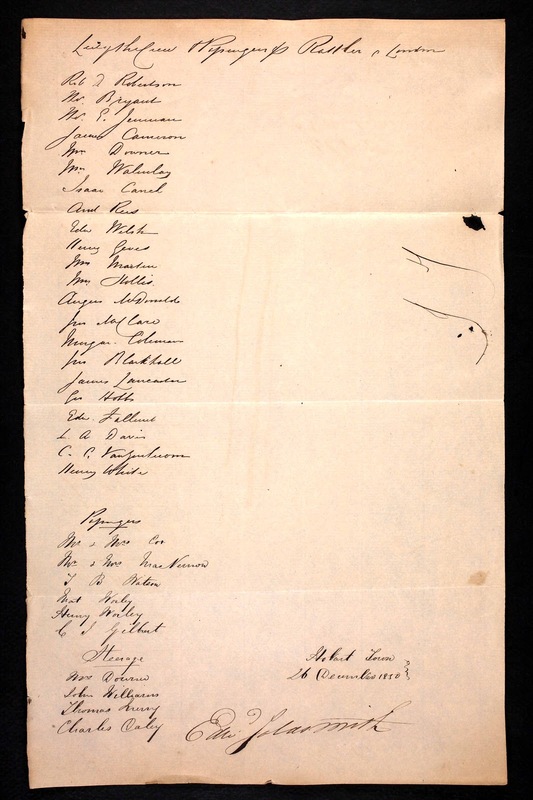 Both daughters of Captain James Day were named as legatees by their uncle Captain Edward Goldsmith to his will of 1869. Mary Sophia Axup nee Day died in Melbourne on 18th June 1941, aged 89 years. Elizabeth Rachel Nevin nee Day, her elder sister by five years who married photographer Thomas J. Nevin in 1871, died in Hobart on 29 June, 1914, aged just 67 years. Their two descendants – a great grand daughter of Elizabeth Rachel Nevin who lives in Australia, and a great grandson of Mary Sophia Axup who lives in Germany – discovered they each had in their possession almost identical “vases” carved from soapstone, passed down from their respective great grandmothers who in turn probably received them as gifts from their well-travelled father Captain James Day and uncle Captain Edward Goldsmith. Neither descendant knew of the other’s existence until the mid 2000s when these weblogs on the life and work of photographer Thomas J. Nevin first appeared. To contemporary Western eyes, each of these two carved ornaments might look like 19th century funerary artefacts, flower vases for example, which were customarily placed on the graves of the dearly departed. To the Sinophile, however, they are more likely to be brush washers used by a calligrapher or a watercolourist. Each appears to have a narrow pot and a wider one carved deep into the interior of the chunk of stone, where the narrow one might have held the brushes, and the wider pot the water to wash them. The age of these two “vases” – assuming their provenance goes back as gifts to the two daughters of Captain James Day in the 1860s-1870s – is at least 150 years old, and perhaps much older. If they were gifted as a pair of brush washers, why would they be deemed appropriate for these two young sisters? The answer now seems quite obvious: the Day sisters were the colourists working in Thomas J. Nevin’s studio at 140 Elizabeth Street, Hobart from the late 1860s when Elizabeth Rachel Day became Thomas J. Nevin’s fiancée. On marriage in July 1871, they moved into the residence adjacent to the studio. Several portraits and landscapes produced by Nevin’s studio from 1868 onwards were coloured, some expertly, others ineptly by family members of purchasers. This portrait of his fiancée Elizabeth Rachel Day ca. 1868 is delicately tinted with yellow. She may well have applied the colouring to the portrait herself. This beautifully carved soapstone vase/brush washer depicting a tranquil mountain landscape was passed down from Elizabeth Rachel Nevin nee Day to her eldest daughter May Nevin, who died in Hobart in 1955. From May’s estate it was passed on to her youngest brother Albert Nevin, who also died in 1955. It was then passed on from Albert Nevin’s wife Emily Nevin nee Davis who died in 1971. From her estate it was passed on to one of Albert and Emily’s daughters, who passed it on to her daughter – the present owner and great grand daughter of the original owner, Elizabeth Rachel Day. Photography and vase copyright © KLW NFC Imprint Private Collection. NB: These images are watermarked 2015. 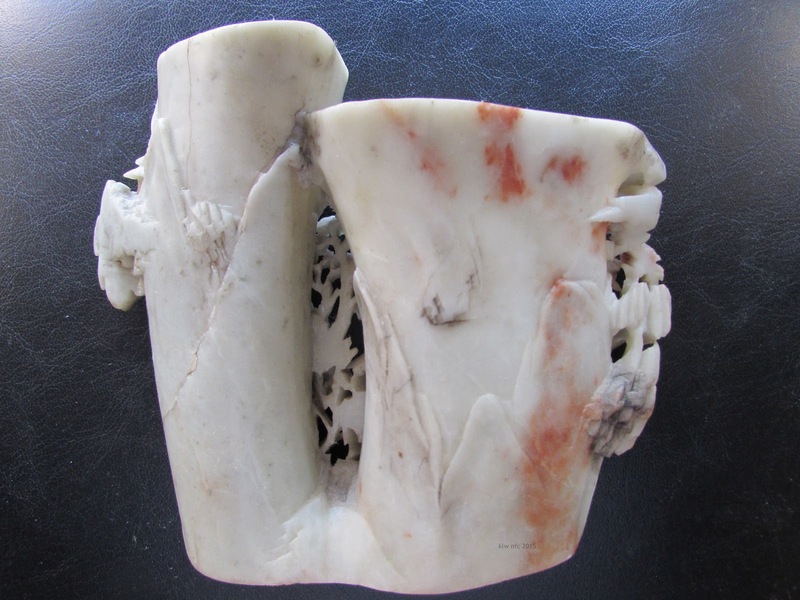 Mary Sophia Axup’s soapstone vase/brush washer was handed down to her daughter Eva Axup and Eva’s husband the Rev. Percy Baldwin, who in turn passed it onto their daughter, mother of John Davis, the current owner and great grandson of Mary Sophia Axup nee Day. He has it sitting on his bookshelf in Germany, just as the other one is sitting on a bookshelf in Australia. Mary Sophia’s vase/brush washer was carved from a smaller chunk of stone than her sister’s. Each is unique though similar in conception and execution. The motifs are identical, although the watchtower/pagoda at top right on the larger vase is missing on this smaller one. Both feature hanging willows, trees in blossom, shady bamboo, tea houses perched precariously on paths at the edge of steep cliffs, a cloudy sky, and two separate self-contained pots carved deep into the chunk of stone, leaving the centre void except for the lattice between them. This stone is also light grey overall, but unlike the larger vase which has streaks of pink and dark grey, this one is shot through with pink and bright blue streaks which the carver expertly used to fashion into the theme’s motifs as the edges of paths, the tops of trees, and clouds. It is entirely possible that these two vases, which look similar enough to be a larger male and smaller female version (or vice versa) of a traditional model and style, were created in the same region and by the same carver(s). 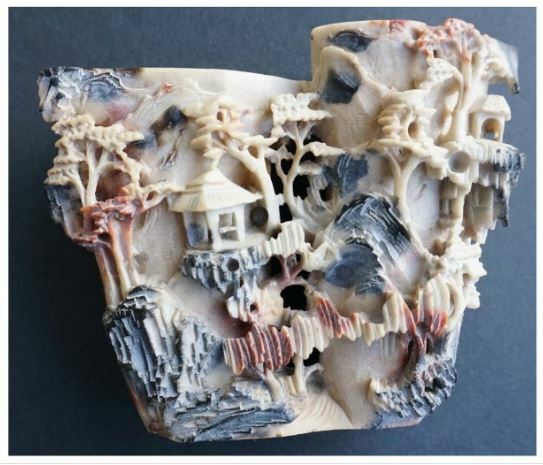 The chunk of soapstone from which each one has been carved differs in size and the patterns of colour, but the motifs are essentially the same. Qingtian stones are another well-known type of material for seal-making and stone carving. They originate from northern Wenzhou (温州), Zhejiang (浙江) province of China. Of these, the creme de la creme would have to be the “Lamplight frosted” (灯光冻) stone, a rare treasure that many collectors desire to own. Considered to be more rare than the Tianghuang, it has been said that a piece of this stone was fair exchange for a villa! Even amongst stone enthusiasts, few would have had a glimpse of this fine stone, which only serves to add to its mystique. Other examples of Qingtian stones include: Longdan (龙蛋), Fengmenqing (封门青), Yeluqing (叶绿青), Huangjingyao (黄金耀), Zhiluolan (紫罗兰) and Jiabandong (夹板冻). These stones are valuable because they can hardly be found even at their original mining site nowadays…. 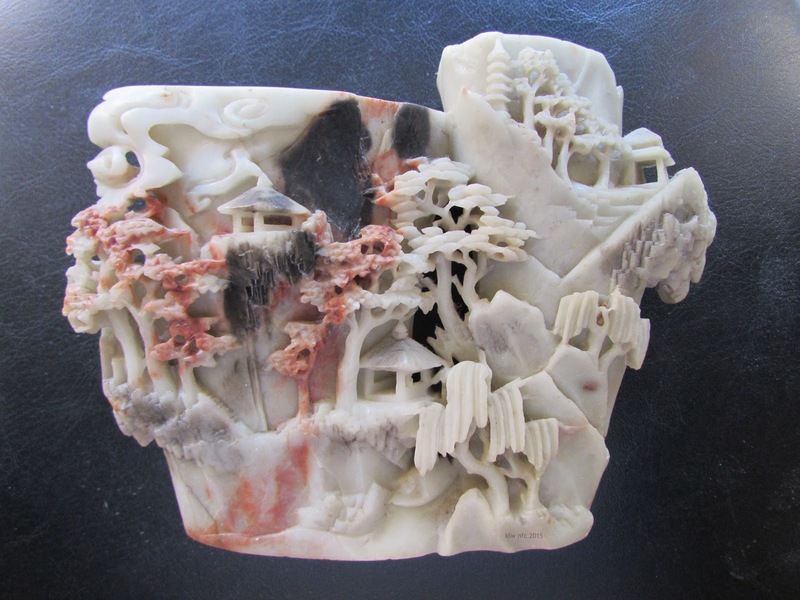 Shoushan stones are mined from Shoushan (寿山), Fuzhou (福州), in the Fujian (福建) province of China, and are choice materials for seal stones and for stone carving. Amongst them, the Tianhuang (田黄) stone [yellow] is widely acknowledged as the “Emperor of Stones”, and is very much sought after by collectors. Regarding this, there is an old saying in China: “1 ounce Tianhuang, 3 ounces Gold” (一两田黄三两金). Even now, although gold prices are high, Tianhuang prices remain exorbitantly more so. As of 2011, the price for select Tianhuang was RMB 10,000 per gramme, or approximately 35 times that of gold. This far exceeds the proverbial 3 times (or even 10 times for that matter), attesting to its value as a high return investment item. Other valuable types of Shoushan stones include the Lychee Frosted (荔枝冻), Duling stone (杜陵石), Frosted stone (坑头冻) and the Lotus stone (芙蓉). Whether for use as a seal or for stone carving, so long as the stones are of good quality and possess fine form, their value is almost guaranteed due to the diminishing supply of quality stone materials. Who originally gave these vases/brush washers to Elizabeth Rachel Nevin nee Day and Mary Sophia Axup nee Day, the daughters of Captain James Day? They look bespoke, as if made on the spot rather than factory-made to a commercial template. Were they carved for Captain James Day over a few hours during a sojourn ashore at a port in the Asian Pacific when he was Navigator and First Mate on board merchant ships commanded by his brother-in-law Captain Edward Goldsmith in the 1830s-1840s? Or did Mrs Captain Goldsmith – as she was known when supplying merchants in Hobart with the latest London fashions – did she, their aunt Elizabeth Goldsmith nee Day, bequeath the two vases to her nieces AND the two volumes (below) inscribed with her son’s name to her niece Mary Sophia? She may have requested them to be sent to Tasmania from her own estate when she died in 1875 (she was buried at Chalk Church, Kent with her husband, Captain Edward Goldsmith and her son Edward jnr). Or, she may have sent them as compensation for the failed suit in Chancery in 1871 over Captain Edward Goldsmith’s will which Mary Sophia Day contested as a named legatee and unmarried niece. 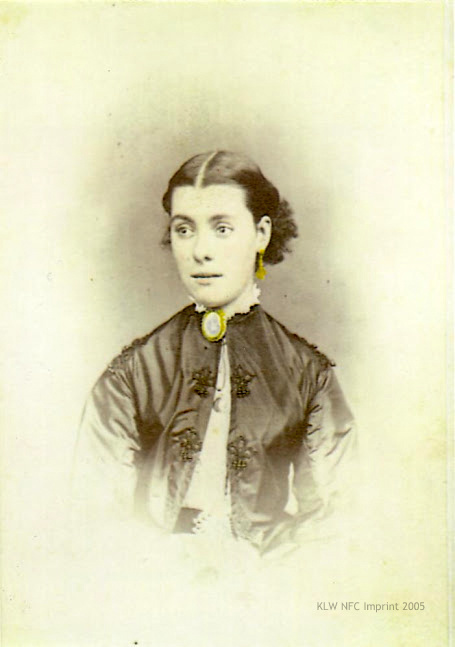 Because Mary Sophia was under 21 years old, and not yet married to Captain Axup (that was in 1878), she was eligible to contest the will, but her elder sister Elizabeth Rachel Nevin nee Day was already married to photographer Thomas J. Nevin by July 1871, and deemed therefore ineligible for further allowances from Captain Goldsmith’s estate, although he had stipulated the two nieces benefit from the use or sale of eleven cottages in Vicarage Row, Higham, Kent. Perhaps the vases/brush washers were acquired by Captain Edward Goldsmith from the China Hall in the Lower Road, Rotherhithe, a public house licensed to his father Richard Goldsmith snr from 1820. The China Hall was a former riparian theatre and warehouse of Chinese silks, porcelains and antiquities. 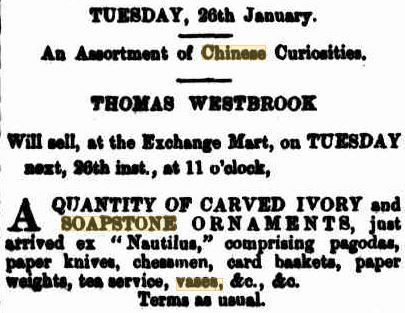 A QUANTITY OF CARVED IVORY and SOAPSTONE ORNAMENTS, just arrived ex “Nautilus”, comprising pagodas, paper knives, chessmen, card baskets, paper weights, tea service, vases, &c., &c.
The Nautilus followed a regular trade route to Foo-chow-foo, now Fuzhou in the Fujian province of China, where the Shoushan stones are mined from Shoushan (寿山) mountain. 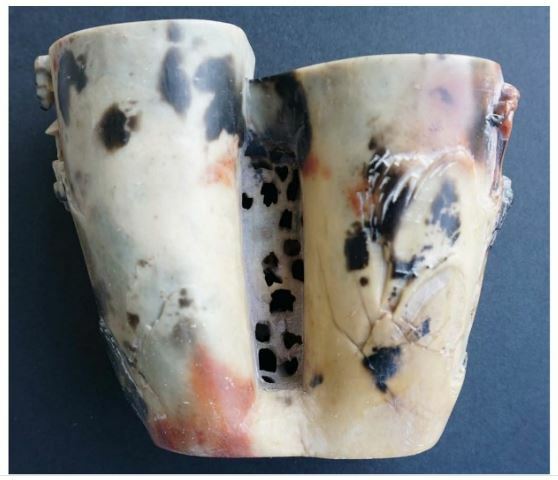 However, the two vases/brush washers which have come down through the Axup and Nevin families appear to be carved from Qintiang stone rather Shoushan. Qingtian (Chinese: 青田; pinyin: Qīngtián; literally: “azure field”), is a county in southeastern Zhejiang Province, formerly in the county of Wenzhou (Chinese: 温州), south of Shanghai. Source: Ovens and Murray Advertiser (Beechworth, Vic. 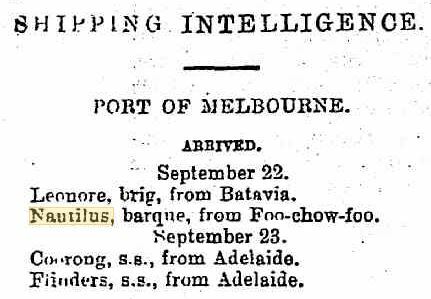 : 1855 – 1918) Sat 25 Sep 1875 Page 4 SHIPPING INTELLIGENCE. 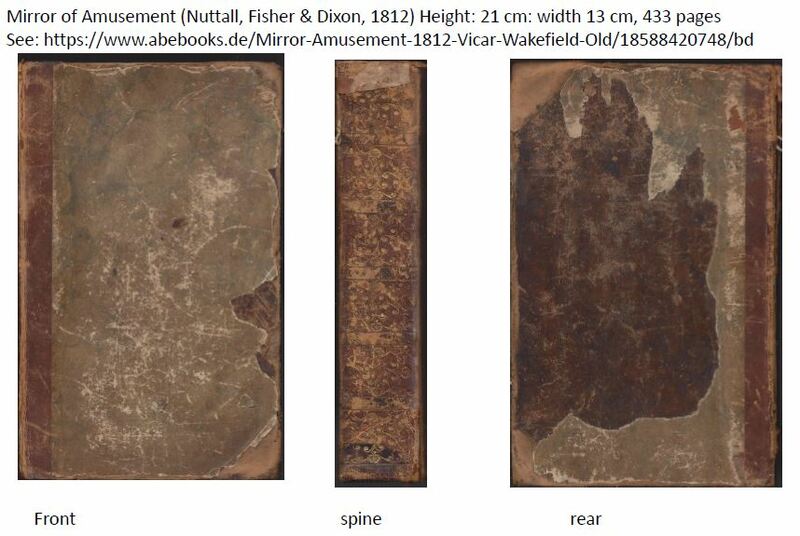 Another source of puzzlement is the provenance of two tomes – Mirror of Amusement (1812) and The Youth’s Cabinet (n.d.) – which were passed down from the Goldsmith family to Mary Sophia Axup nee Day, and remain the exclusive possession of her great grandson resident in Germany. The inscriptions on the inside covers of these two volumes have raised questions as to the significance of the dates – “June 10th, 1827” or is it “June 10th, 1847” inscribed on the inside leaf of Mirror of Amusement, and “29th December, 1847” and “1853, March” inscribed inside the cover of The Youth’s Cabinet?. Why does the date “1847”appear together with the date “1853, March” inside the same volume – the latter two dates being the birth dates of Captain Goldsmith’s nieces: Elizabeth Rachel Day at Rotherhithe in 1847 and Mary Sophia Day at Hobart in March, 1853? Questions arise too as to which Edward Goldsmith was gifted the volume titled MIRROR of AMUSEMENT, and the identity of “his grandmother”, the donor who inscribed the dedication. Was it a present originally given to Captain Edward Goldsmith when he was a young man? If so, that date – obscured by fuzziness and faded ink – would be 1827 instead of 1847. The identity of the “grandmother” whose name appears on the inside cover of the MIRROR of AMUSEMENT might then have been Captain Goldsmith’s own grandmother, his mother’s mother, or indeed, his father’s mother. In 1827, he was 23 years old, born in 1804 at Chalk, Kent, according to his Trinity House master mariner registration. Two years later, in 1829 when he married Elizabeth Day at Liverpool (UK), his address was registered as Rotherhithe. If the date is “1827” his grandmother in this inscription could have been the mother of his father Richard Goldsmith snr (Richard snr was born in Chalk, 1769 to parents Mary Whetland and Abraham Goldsmith), or she could have been the mother of his mother Mary Whetland, (born to Willim and Debere Witland in 1768 at Chalk), his father Richard’s first wife. She might also have been the mother of Edward’s father’s possible second wife Harriot Parrock. 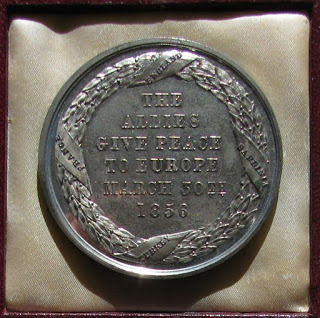 Given the other volume, The Youth’s Cabinet, is inscribed with the dates “1847” and “1853”, it would seem more logical to assume that the date here is also”1847″ and that the two volumes belonged to Edward Goldsmith jnr (b. 1836) who would have been 11 years old in 1847, and 17 years old by 1853. The identity of the “grandmother” whose name appears on the inside cover of the MIRROR of AMUSEMENT would then be his mother’s mother (his mother Elizabeth Goldsmith nee Day was baptised at Sculcoates,York, England in 1803 to parents John, a solicitor, and Jane Day nee Collyer) or his father’s mother (his grandfather Richard was born in 1769 at Chalk to Mary Whetland and Abraham Goldsmith). If the latter, questions have emerged as to the first or even a second marriage of the Captain’s father, Richard Goldsmith snr,, and therefore Edward jnr’s grandparents. Was this “grandmother” living with the Days or the Goldsmiths at Rotherhithe when Edward jnr’s cousin Elizabeth Rachel Day was born there in 1847 to Captain James Day’s wife, Rachel Day nee Pocock? Oliver Goldsmith (10 November 1728 – 4 April 1774) was an Irish novelist, playwright and poet, who is best known for his novel The Vicar of Wakefield (1766), his pastoral poem The Deserted Village (1770), and his plays The Good-Natur’d Man (1768) and She Stoops to Conquer (1771, first performed in 1773). He is thought to have written the classic children’s tale The History of Little Goody Two-Shoes (1765). Read more at Wikipedia. Clara Reeve (23 January 1729 – 3 December 1807) was an English novelist, best known for her Gothic novel The Old English Baron (1777). She also wrote an innovative history of prose fiction, The Progress of Romance (1785).Read more at Wikipedia. Tobias George Smollett (19 March 1721 – 17 September 1771) was a Scottish poet and author. He was best known for his picaresque novels, such as The Adventures of Roderick Random (1748) and The Adventures of Peregrine Pickle (1751), which influenced later novelists such as Charles Dickens. Read more at Wikipedia. The three novellas published in the MIRROR of AMUSEMENT (1812) by Oliver Goldsmith ( a distant albeit long deceased Irish relation? ), Clara Reeve and Dr. Smollett were regarded as essential reading for young minds in the early years of Queen Victoria’s reign. Edward Goldsmith jnr was born at Rotherhithe (London, UK) on the 12th December 1836 to Captain Edward Goldsmith and his wife Elizabeth Goldsmith nee Day, and died a premature death at Rochester (UK) on the 8th May, 1883. He was the second son and the only surviving son after the death of his older brother Richard Sydney Goldsmith (1830-1854) from fever in Hobart, Tasmania. In 1847 Edward Goldsmith jnr b. 1836 in theory would have had two grandmothers: his mother’s mother, and his father’s mother, that is, if “Grandmother” had the meaning we use today. His mother’s mother – mother of Mrs Elizabeth Goldsmith nee Day and her brother Captain James Day – might have been alive and living in Surrey in the Parish of Rotherhithe in 1847 and 1853. The UK census of June 1841 listed Captain Edward Goldsmith’s wife Elizabeth and their four year old son Edward as residents of Surrey Place Rotherhithe with her servant Betsy Parryman, among several other members of the household, but not her husband. Though she sometimes sailed with her husband to the colonies, she had not accompanied Captain Goldsmith on his voyage to the Australian colonies after the death of their new-born son James Bentley the previous year. On the night of the UK census, 7th June 1841, Captain Goldsmith was six weeks out from London in command of the Wave, having departed Hobart on 14th March, arriving back in London on July 22nd, 1841 which is why his name was not recorded along those of his wife’s and son’s. 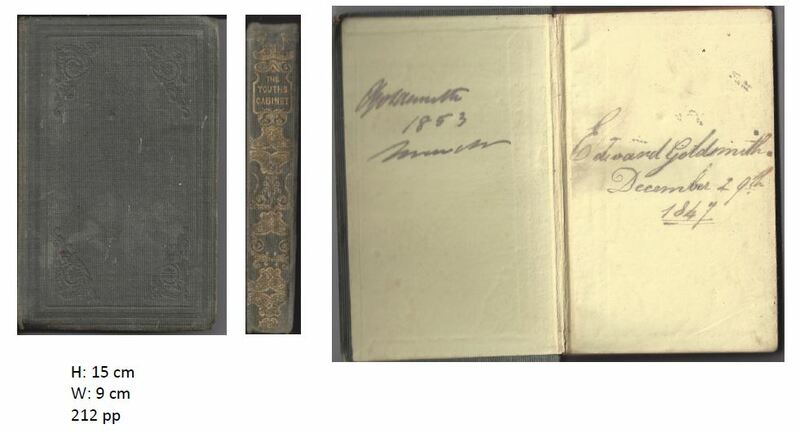 A comparison of the hand-written inscriptions inside the books’ covers with the signatures written by Captain Edward Goldsmith himself on Customs cockets in 1846 and 1850 indicates fairly conclusively that the books’ inscriptions were not written by him. His signature on these cockets includes an extra curl inside the “E” of Edward, a thin single downstroke for the “G” of Goldsmith, and elision of the “o” in Goldsmith. The signatures and inscriptions on the inside covers of these two volumes differ in several key points from Captain Edward Goldsmith’s signature in his declaration on the cockets of goods landed at Hobart for the maiden voyage of the Rattler, 13th November, 1846 (CUS36/1/442, Image 50,) and the arrival of the Rattler in Hobart in December 1850 (CUS36/1/442 Image 203). 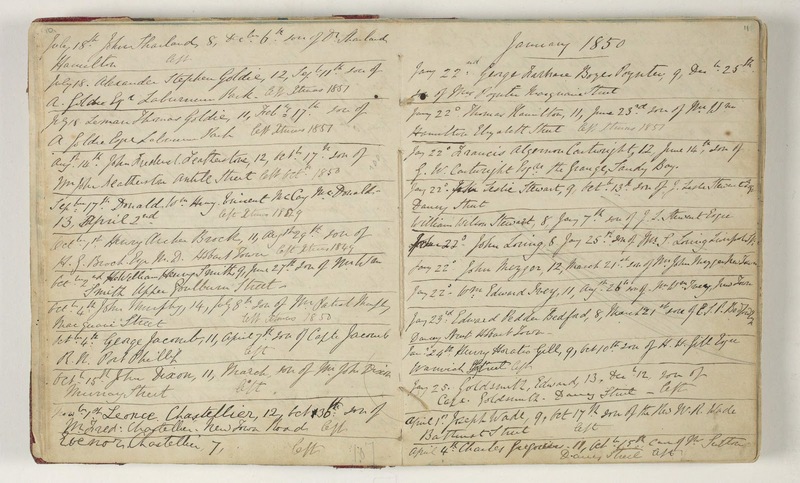 Advertisements by local merchants of goods landed from the Rattler at Hobart in November 1847, again with Captain Edward Goldsmith in command, included a large consignment of books for Walch’s, but it seems clear that he arrived at Hobart without his family on board. When Captain Edward Goldsmith arrived at Hobart in command of the barque Rattler on November 11, 1847, his wife Elizabeth nee Day and his sons Richard Sydney Goldsmith and Edward Goldsmith jnr were not on board. The only passengers were three adults – Colonel Kelsall and Mr and Mrs Reazon with a child, presumably their own. Colonel Roger Kelsall R.E. had sold his commission two years earlier, in 1845. He was responsible for works at the church at Port Arthur (1836); the guard house at George Town (1838); the barracks at Port Arthur (1840); the barracks on Maria Island, and the convict hospital (1842). His return to VDL was short lived: he retired to a grazing property in Victoria and died there in 1861. Source: The Courier (Hobart, Tas. : 1840 – 1859) Sat 13 Nov 1847 Page 2 SHIPPING NEWS. The Rattler, Goldsmith, has been 120 days upon the passage; she has not spoken any vessel belonging to these colonies. On the 10th October, in 38 o 39 south lat., 48 o 36 east long., she spoke the brig Grace Darling, from London to Singapore; no date. Whoever the grandmother was, whether Captain Edward Goldsmith’s grandmother, or indeed his own mother, who would therefore be grandmother to his son Edward jnr, or indeed his wife Elizabeth Goldsmith nee Day’s mother, the fact that the book titled MIRROR of AMUSEMENT was signed on 10th June 1847 just a few weeks before the Rattler left London Docks on 13th July for Hobart, suggests it was a gift prepared in advance for her grandson on the Rattler‘s departure. The date “June 10th” is significant in that it was Captain James Day’s birthday, brother of Captain Mrs Elizabeth Goldsmith, to use the name by which she was known in Van Diemen’s Land (Tasmania) on her first visits with her husband. The MIRROR of AMUSEMENT may have been pre-selected by Edward Goldsmith jnr’s grandmother from shipping agent Mr. H. Stephens’ consignment of books, inks and stationery loaded at London on this voyage of the Rattler for Walch’s in Hobart. She wrote her dedication to her grandson on the inside fly leaf and gave it to his father Captain Edward Goldsmith for safe-keeping on the voyage. 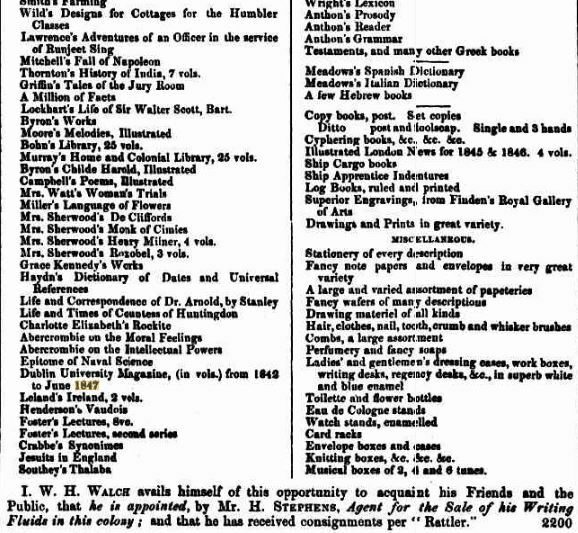 The day after the Rattler arrived at Hobart, I. W. H. Walch, advertised in the Courier, 13 November 1847 that he had received at his Book and Fancy Stationery Warehouse at Wellington Bridge a very large consignment of books, stationery, etc for sale as well as “writing fluids” per the Rattler. The hundreds of titles included books on history (several by Oliver Goldsmith), botany, economics, gardening, books suitable for children’s prizes, 5 to 14 years old, geography, religion, heraldry, medical jurisprudence, dictionaries, French, Latin and Greek grammars, biographies, magazines, The Illustrated London News etc etc, as well as stationery for ships’ logs and cargo. 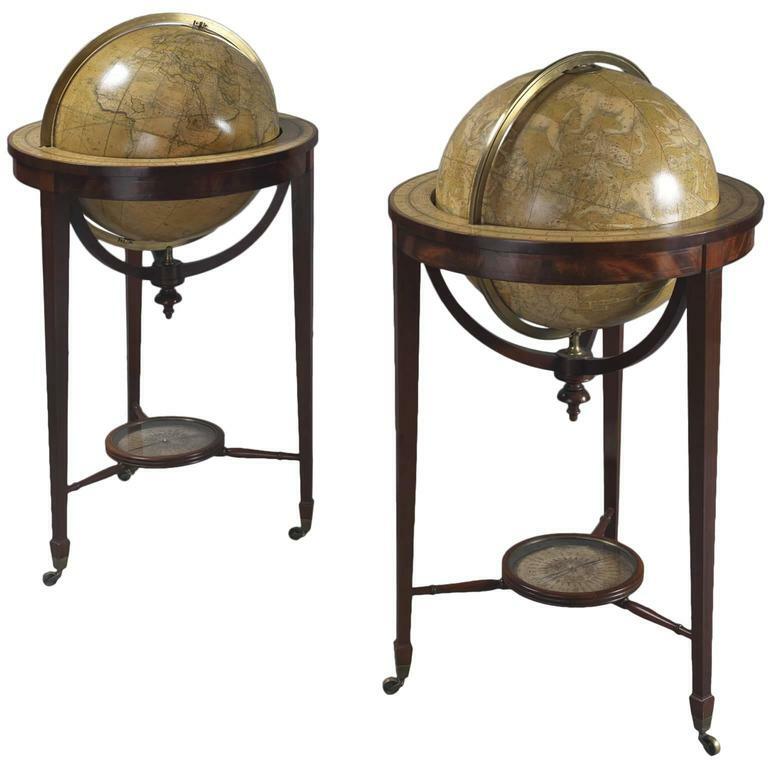 A PAIR of EIGHTEEN-INCH GLOBES, corrected to June 1847, on chair-high stands, with COMPASSES, and Leather Covers. A Fine Pair of Eighteen Inch Library Globes, by Smith & Son, Comprising a Terrestrial and Celestial Globe. Both globes with engraved brass hour dial and stamped meridian ring, the globe divided into four quadrants, with hand coloured horizon paper showing degrees of amplitude and azimuth, compass directions, days of the month and houses of the zodiac, mounted on a mahogany library stand, with the horizon raised on three tapering square section legs terminating in castors, the stand with a lower tier containing a mahogany cased compass with blue steel needle. The terrestrial globe made up of two sets of twenty four hand coloured engraved gores, the cartouche reading ‘Smith’s Terrestrial Globe, London, Smith & Son, 63 Charing Cross’, the equator graduated in degrees of amplitude and azimuth and in hours and minutes, the colures and Greenwich meridian graduated in degrees, the ecliptic graduated in degrees with sigils for the houses of the zodiac, the continents finely detailed with nations, towns, rivers and mountains, the oceans with an analemma and decorated with finely detailed tracks of Columbus, Cook, La Perouse, Vancouver, Clerke, Gore, Ross and Furneaus, noting dates and location of rocks, with whimsical notes such as ‘Sea Weeds & Birds seen’, as well as detailed ocean tracks for generally used sailing paths between ports. The celestial globe made up of two sets of twenty four hand coloured engraved gores laid to the ecliptic poles, the cartouche reading ‘Smith’s Celestial Globe, Smith & Son, 63 Charing Cross’, the axis through the celestial poles, the equator graduated in degrees, hours and minutes, the colours graduated in degrees, the ecliptic graduated in degrees with sigils for the houses of the zodiac, and in days of the month, with twilight zone, the constellations depicting mythical beasts and figures and scientific instruments, with the stars shown to nine orders of magnitude, with nebulae, and labelled with Arabic numerals and Greek and Roman characters, some of which are named. ‘Instruments de Science et de Geographie importes par Biennais fournisseur Service du Ministre de la Marine’. The Smith family of London globe makers, founded in 1799, produced a variety of floor and table models of globes throughout the 19th century. Charles Smith was joined in business by his son in 1845. Murray’s Grammar, 2 vols., 8vo. Books etc consigned to Walch’s warehouse ex” Rattler” Goldsmith, master. The inscription on the right reads” Edward Goldsmith December 29th 1847“. The name and date on the left inside cover looks like “O Goldsmith 1853 March“. 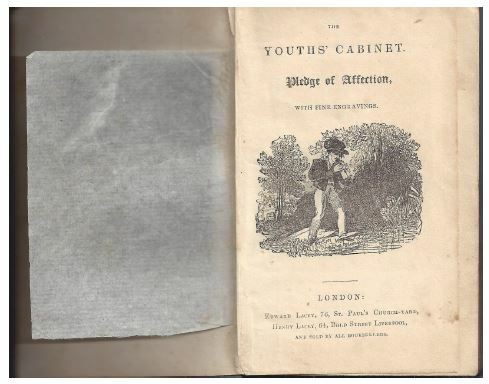 This London edition was titled The Youth’s Cabinet, Pledge of Affection with Fine Engravings. The name of the publisher and date of publication are not clear enough to determine. The book itself appears to be somewhat rare: Google Books has no record of a London edition with this exact title, while the American editions are numerous. 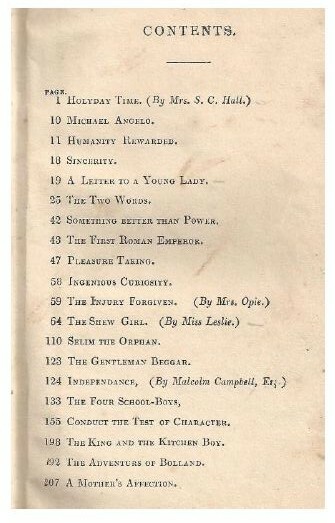 This London edition of Youth’s Cabinet contained instructive tales about affection, moral fortitude, adventure and history for boys, etc, e.g. Published: New York : D.A. Woodworth. Note: Added title page engraved. Physical Description: 20 v. : illus., ports. ; 20 cm. The Goldsmiths’ eldest son Richard Sydney Goldsmith (1830-1854) appears not to have attended Hutchins School. He arrived in Hobart on board the Rattler, his father in command, in November 1849 and continued on to Sydney, although he returned to Hobart where he was employed at the Union Bank until his death in Hobart from fever in 1854. The Goldsmiths’ Hobart residence was at 19 Davey St. opposite the St. David’s Cemetery. They were not colonists and Captain Goldsmith, at sea for eight months of the year, was rarely there. 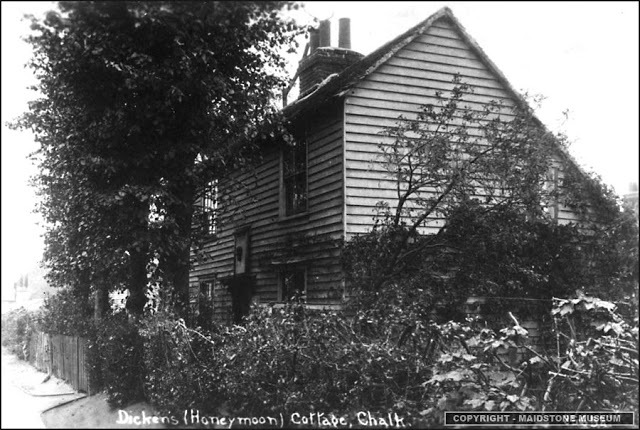 The family pub at Rotherhithe was his London base, and Gad’s Hill House, in the village of Higham, Kent his country home. 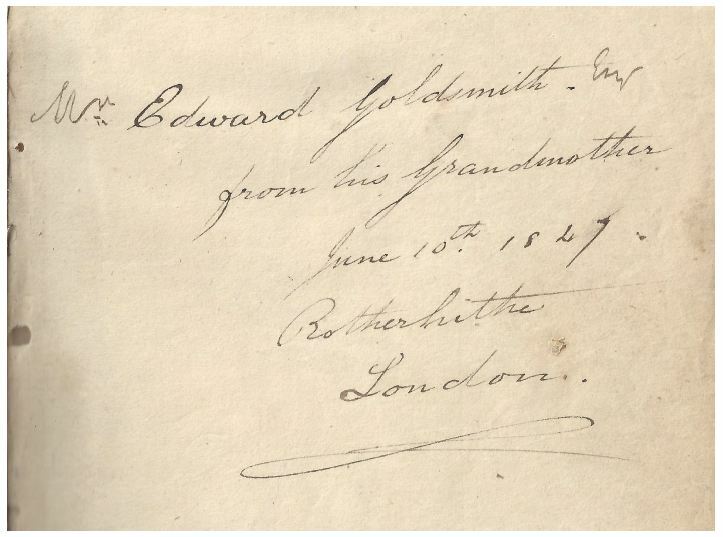 Edward Goldsmith jnr’s grandfather on his father’s side, Richard Goldsmith snr died a widower at Rotherhithe in 1839. Grandfather Richard was born at Chalk, Kent, served on the Aboukir, was pensioned out, bought two pubs, the China Hall in the Old Deptford Road and the Ship on Launch (known as the Victoria) opposite the Brunel Tunnel at Rotherhithe, and was buried at the Mayflower Church, St Mary’s Rotherhithe where Edward Goldsmith junior was baptised in 1836 and where his cousin Elizabeth Rachel Day was baptised in 1847. Richard Goldsmith snr – Captain Goldsmith’s father – must have had two or maybe even three families: one family from his marriage at Chalk, Kent, when several children were born before 1804, and then several more born after 1804, and perhaps Captain Goldsmith was either born in 1804 and his exhausted mother died in childbirth (Richard’s first wife) , or he was born to the second Mrs Richard Goldsmith in 1804. No one has turned up his birth records for Chalk, whereas his siblings’ birth records are easy to find. 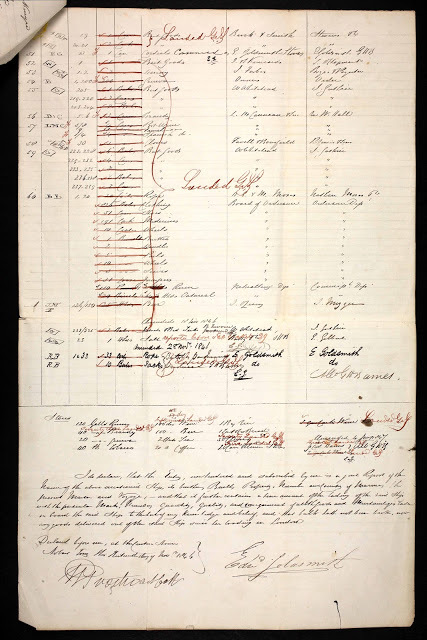 Captain Edward Goldsmith and his siblings are listed in his father Richard Goldsmith’s will: click here to read the original will (with difficulty, no doubt, due to the Italic script). All this means, in a nutshell, is that on THE YOUTH’S CABINET inside cover, the second name “O [?] Goldsmith” and the date “1853, March”- could be the name of a child of one of many of Captain Goldsmith’s siblings – a cousin of Edward Jnr. The problem is that these dates have huge relevance as birth years of the nieces of Captain Edward Goldsmith, daughters of his wife’s brother Captain James Day and Rachel Pocock. Those are dates when these sisters were born: Elizabeth Rachel Day at Rotherhithe in 1847 and Mary Sophia Day at Hobart in March 1853, dates in fact of greatest significance to their aunt Elizabeth Goldsmith nee Day, Edward’s mother, because of the imminent death of her brother’s wife, Rachel Day nee Pocock, mother of these two young nieces, who died of consumption after a long illness at New Town (Tas) in 1857. This then is the possible solution to the mystery of why and how these two volumes ended up firstly in Hobart, Tasmania, in the possession of Mary Sophia Axup nee Day, then in Melbourne in possession of her daughter Eva Baldwin nee Axup, and finally in the possession of Mary Sophia’s great grandson in Germany, forgotten until recently rediscovered on his bookshelf: Edward Goldsmith jnr gave his uncle Captain James Day the two volumes for his cousin Mary Sophia Day before his permanent departure with his parents Captain Edward Goldsmith and Elizabeth Goldsmith from Tasmania on board the Indian Queen as passengers in February 1856, bound for Liverpool. Mary Sophia Day was a three-year old toddler in 1856, but in 1882 when her father Captain James Day died, he was living with Mary Sophia and her husband Captain Hector Axup at Sloane Street, Battery Point, Hobart. The books passed from her father’s estate to hers, and thence to her descendants. Captain Edward Goldsmith and his wife Elizabeth returned to Gad’s Hill House, Higham, Kent in 1856 where their new neighbour, Charles Dickens, had settled at No. 6 Gad’s Hill Place. Although both books, The Youth’s Cabinet and the Mirror of Amusement which includes Oliver Goldsmith’s popular novella ,The Vicar of Wakefield are inscribed ex-libris Edward Goldsmith jnr, these tomes may have originated from the circle of his parent’s famous neighbour, Charles Dickens, whose admiration of Oliver Goldsmith exceeded all others. After all, before Edward Goldsmith jnr’s premature death in 1883, his income was from several properties inherited from his father’s estate which included the house at No. 11 Upper Clarence Place in Rochester where Dickens’ mistress Ellen Ternan was born (Dickens first met her in 1857). “2a. 0r. 0p. of valuable plantation, house and garden, and building land, in the occupation of Mr. John Craddock, at a rental of £30 per annum”. (10.) A piece of garden ground containing by admeasurement 1r. 30p. on the north side of the Gravesend and Rochester turnpike road with the cottage or tenement thereon erected and built situate in the parish of Chalk aforesaid and also a piece of orchard ground situate on the north side of the road leading from Gravesend to the village of Lower Higham and lying in the parish of Chalk aforesaid and containing by admeasurement 1a. 3r. 32p. all which premises are now in the occupation of John Craddock as yearly tenant at the annual rent of £30. First cousins and both children of master mariners, Edward Goldsmith jnr (1836-1883) and Elizabeth Rachel Day (1847-1914 ) were both born in London and baptised at St Mary’s Church, Rotherhithe, known as the Mayflower Church, one decade apart. Elizabeth Rachel Day arrived in Hobart Tasmania as an infant, where her sister Mary Sophia Day was born on 9th March, 1853, and married professional photographer Thomas J. Nevin at Kangaroo Valley, Hobart on 12 July 1871. Edward Goldsmith jnr made several voyages to Tasmania with his father Captain Edward Goldsmith, attended the Governor’s Levee there in 1855, went to Trinity College Cambridge in 1857, married, became a surgeon, managed his father’s estates in Kent and died young at Rochester, UK, just 46 yrs old. He may have served briefly at the Crimean War in 1858. In 1855, as a young man approaching twenty, Edward accompanied his father Captain Edward Goldsmith to the Governor’s Levee in Hobart. But by 1856 he was back in the UK, enrolled at Trinity College where he matriculated at Michaelmas in 1857. He may have joined the Army – there is a listing for Edward Goldsmith in 1858 at the Crimean War – but afterwards studied medicine and became a surgeon. He married Sarah Jane Rivers from Deptford in July 1870. 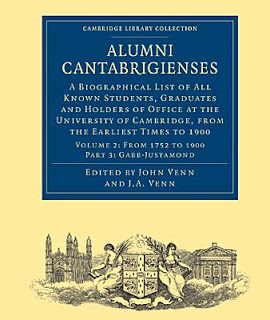 Alumni cantabrigienses; a biographical list of all known students, graduates and holders of office at the University … Volume 2, pt.2 … Pt. 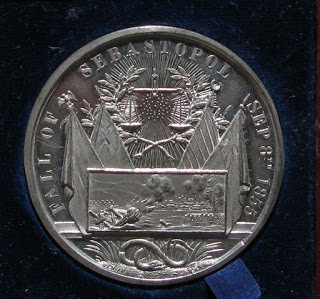 2: From 1752 to 1900. v.
When Tasmanian photographer Thomas Nevin (1842-1923) married Elizabeth Rachel Day (1847-1914) on July 12th, 1871 at the Wesleyan Chapel, Kangaroo Valley, Hobart, they were gifted a medallion issued to commemorate the end of the Crimean War: the Fall of Sebastopol 1855 and the ensuing Treaty of Paris 1856. It might have been their wedding gift (1871) from Elizabeth’s first cousin Edward Goldsmith jnr who served briefly at the Crimean War in 1858. It remains in the possession of their great grand daughter in Australia. Photos copyright © KLW NFC 2009 ARR. Medallion and photos © KLW NFC Private Collection. Photograph taken ca. 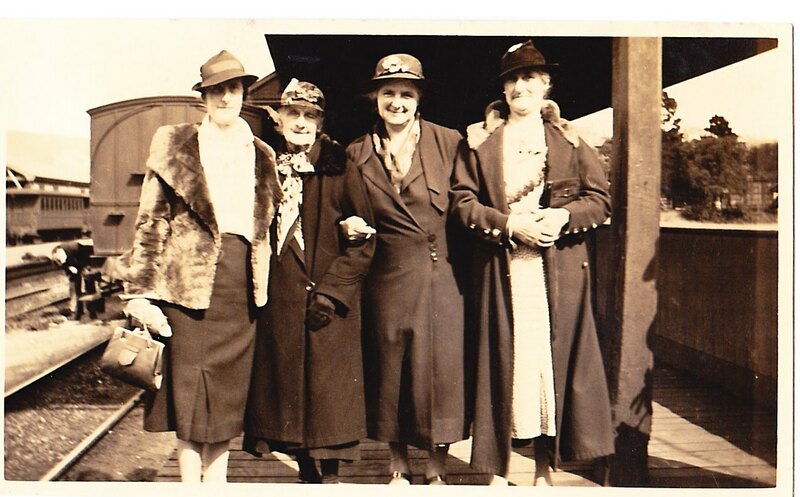 1938, possibly at the Hobart or Melbourne Railway Station. 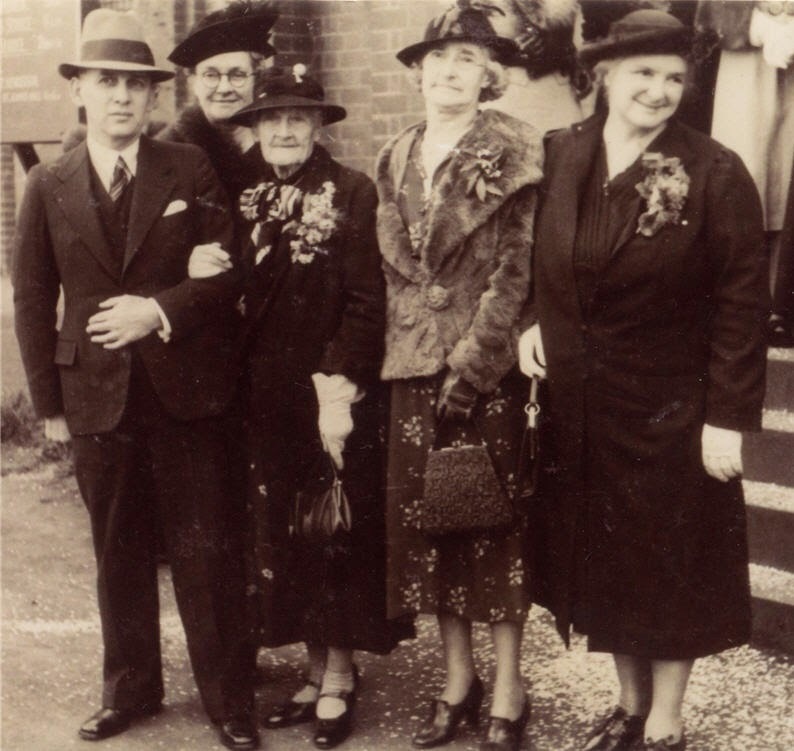 A family photograph found in the estate of Eva Morris nee Nevin, eldest daughter of Albert Nevin, brother of the Nevin sisters Minnie and May in this photograph. It may have been taken by Eva Nevin about the time she eloped to Melbourne with her future husband Bert Morris. Copyright © KLW NFC Private Collections 2009 ARR.